Swiftkey, the widely popular third-party keyboard app will be going free on the Google Playstore, forever. The update comes as the London based company is now shifting its revenue strategy opting to seek profit through in-app purchases instead. This may help expand its potential user base. For people who have already purchased the app, you will be getting a free $4.99 theme pack for free. This theme pack offers 10 new looks, although some of them aren't for me personally and i'll be sticking to the standard look. Swiftkey now offers emoji support so you wont have to depend on your texting app or switch keyboards. This includes supports for 800 emoji, including predictions, as well as a dedicated number row option above the main keyboard. 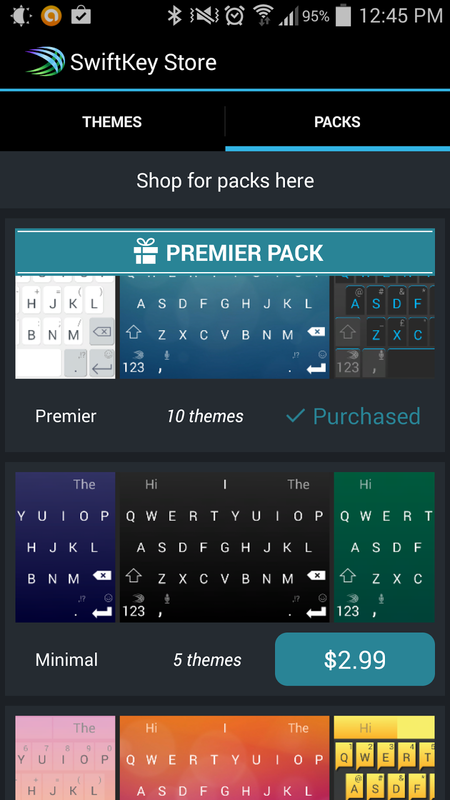 Like many Swiftkey updates, the newer version adds improved predictions and a new default theme named Nickel.